As someone who loves nothing more than spending time in the kitchen, it often amazes me how little time people are prepared to put into what they eat. I’m fully aware that everyone is leading increasingly hectic lives and that sometimes a bowl of cereal on the sofa is all that can be managed, but at the same time I’m secretly eyeing up those sweaty slices of pre-packaged bread or cakes full of hydrogenated oils and thickening agents and wondering why anyone would even dream of eating them. I appreciate that this is completely hypocritical. I’m sure there are gardening fanatics out there who watch me in the supermarket and wonder why I wouldn’t bother to grow my own vegetables, obsessive sewing types who’d never dream of paying through the teeth for high street fashion that falls apart after the first wash and people who’d simply laugh at my inability to so much as change a fuse without the help of a friendly electrician. Everyone has different interests. Cooking and baking are mine and it doesn’t mean I should judge. Having said that, whenever I make a recipe as simple and delicious as this one I can’t help but want to shout it from the rooftops. The foodstuff in question isn’t anything complicated. I’m not asking anyone to use difficult techniques, invoke the alchemy of baking or do anything that isn’t completely foolproof. Today I’m talking about a one bowl, blend only, minimal ingredient for maximum flavour recipe that’s a world away from the stuff you can get in the shops. The subject of my excitement? Hummus. 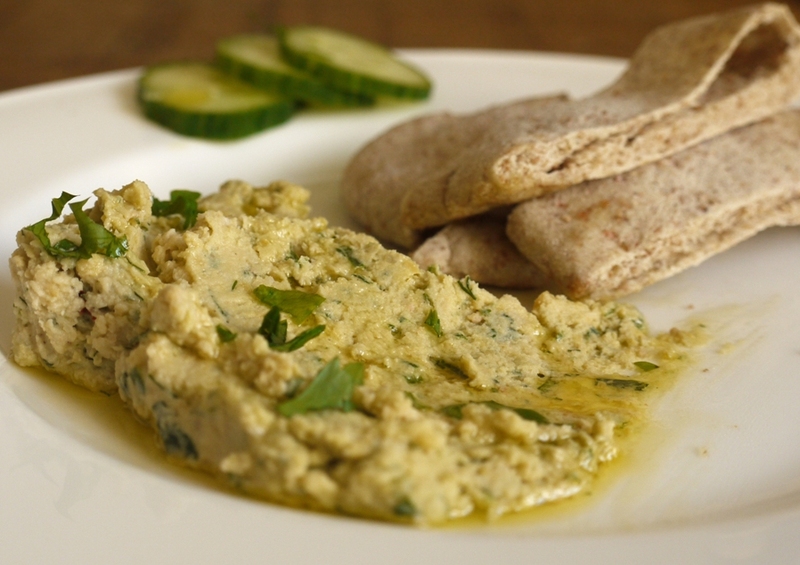 In my latest post I talked about the revelation that is homemade pitta bread. While that was completely new to me and homemade hummus is not, it’s nonetheless just as delicious and a completely different entity from the bland gloopy slop you can pick up in any supermarket. Like garlic? Roast your own and blend it into the mixture. Prefer the taste of onion? Do the same with a succulent sweet shallot and throw that in. Pick and choose from most leafy green herbs, add a few chilli flakes or thin it down with extra tahini and lots of lemon juice. And while chickpeas are perennially popular, why not try something like cannellini for a smoother, paler dip? 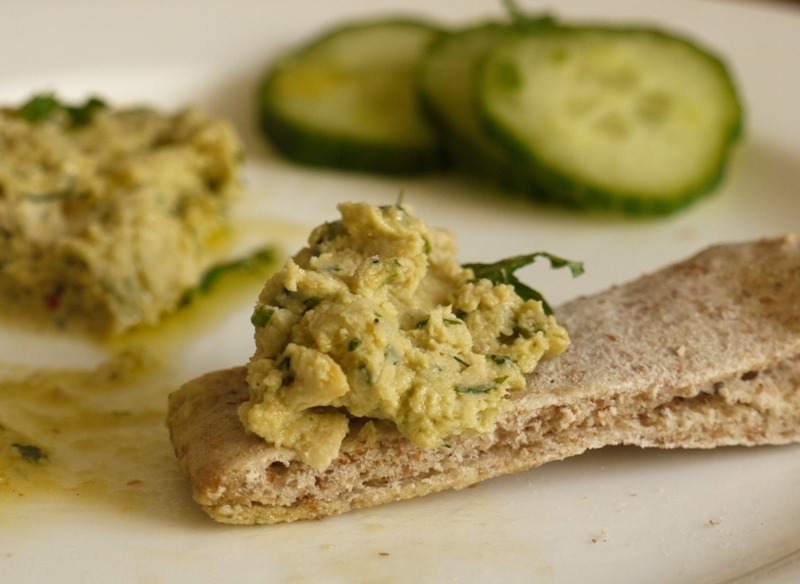 Sara of Sprouted Kitchen fame recently posted her favourite hummus recipe on Joanna Goddard’s A Cup of Jo blog. She uses dill and roasted shallot in her recipe and serves it crumbled with feta and cucumber slices tossed with parsley and vinegar. Hummus and feta is the ultimate combination of smooth and chalky, rich and salty and the crunch of cucumber provides a perfect contrast, lifted by the acidic zing of the vinegar. If you make some hummus, I’d highly recommend serving it like this. The recipe below makes a big bowl of hummus, enough to serve about six hungry people which also means you could make it at the beginning of the week and eat it for your lunch each day. Hummus works wonderfully with chargrilled lamb, all sorts of cheese, roasted red peppers, black olives, sticks of crunchy vegetables or chunky chickpea falafel. It’s also delicious on its own, spooned surreptitiously from the fridge when no one’s looking (except me, Carniverous Boyfriend . . . I saw you). If you don’t believe how easy this is, read the instructions below. It’s literally a question of throwing things into a blender and blitzing, tasting, tweaking then eating. You could make it in half the time it takes to walk to the shops and I promise it will taste twice as good. And if you can’t be bothered to make your own pitta breads to go with it (recipe here), I promise not to judge you. Preheat the oven to 200 degrees C. Rub the shallot or garlic cloves in a little olive oil and roast for about 15 minutes. If using shallot, chop the roasted flesh. If using garlic, squeeze out the squashy centres and discard the skin. Combine the beans, roasted shallot or garlic, tahini, lemon juice and chilli flakes in a Magimix or blender and pulse until a thick, chunky spread forms. With the motor running, pour in the olive oil a little at a time until the dip is the consistency that you like. 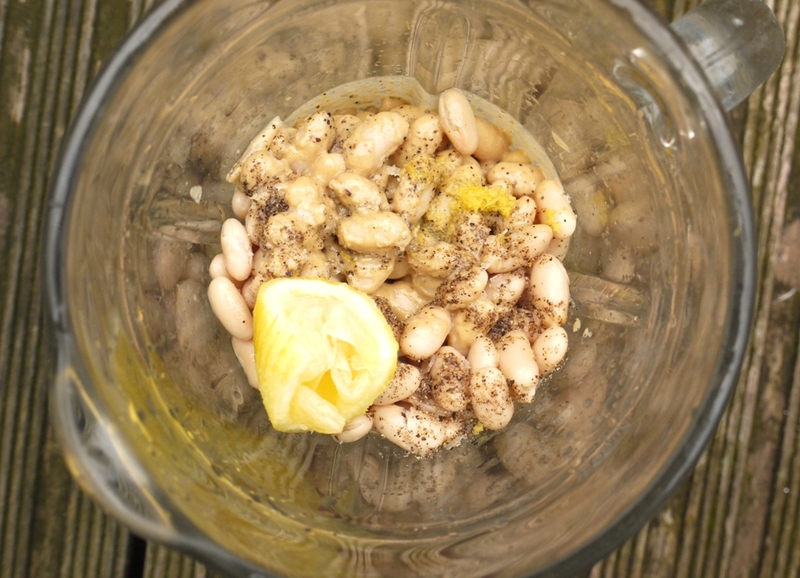 I often add a little water (the cooking water from your beans is good) or extra tahini to loosen it at this stage and like to leave a few bits of bean unblended for texture. Add the herbs and a pinch of salt and pepper to the hummus. Pulse briefly to combine then taste for seasoning. Correct with a little more tahini, lemon juice, salt or pepper then transfer into a container and cover until ready to serve. 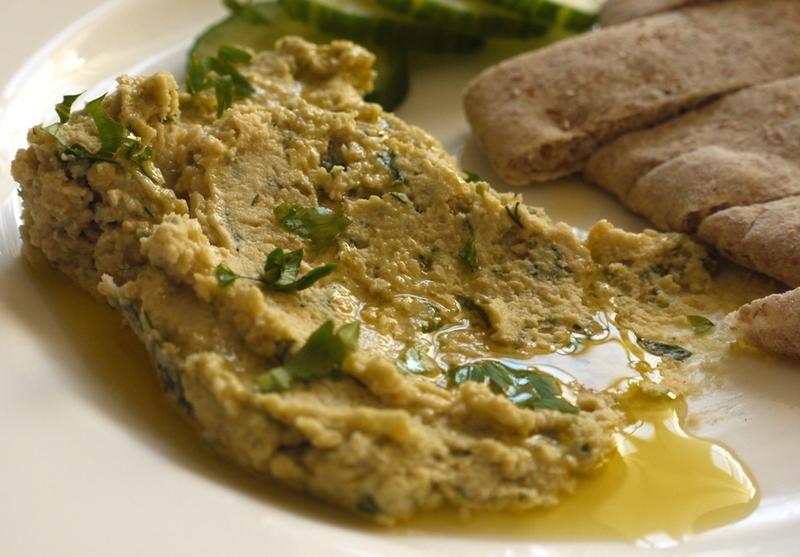 This hummus should keep, covered, for 4 – 5 days in the fridge. Lovely idea to add roasted shallot or garlic. All kinds of beans work well with a basic hummus recipe I’ve found and I rarely use chickpeas these days. Love pinto beans. Your photos are fabulous! 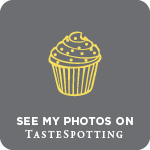 Those photos are mouthwatering! I’ve never made homemade hummous, but I never buy it either so I think I fall outside your category of judgement 🙂 If I do ever make it, I’ll be using this recipe! Love the colour and the idea of roasted shallots. Yummm! So delicious & so easy. I’ve just boiled up a HUGE vat of chickpeas to make hummus. Love the addition of herbs – so fresh, pretty and moreish. I can’t believe I’ve never tried to make my own hummus! I love your herb additions! I love homemade hummus. I go a step further to cook my own beans which makes it quite a lot more faff though :/ I esp love how versatile it is, because you can change up the ingredients and herbs used, or dye it a nice pink with beetroot etc. Great one! Forgive me LittleLoaf, I have sinned. It’s been…(1..2,no 3..) forever since my last confession. I hate processed foods but took a bite of a boxed cake today. I didn’t like it. I’ve never made my own hummus, and am ashamed. I sneak spoonful directly from the fridge ( and pantry). I’m seriously behind on reading blogs. It’ll never happen again. Thank you. Now why is it, I’m asking myself, that in all the years I’ve made hummus, I have never thought to try roasting the garlic first. Off to buy some chick peas right now, so I can get them soaking – oh but it’s going to be ages before I can get that hummus made. Elly – haha, I promise not to judge you! Sally – yum. I usually boil my own beans but if I’m feeling lazy I’ll use tins. It never tastes quite as good. Jenny – you should try it! Katerina – let me know how you get on! 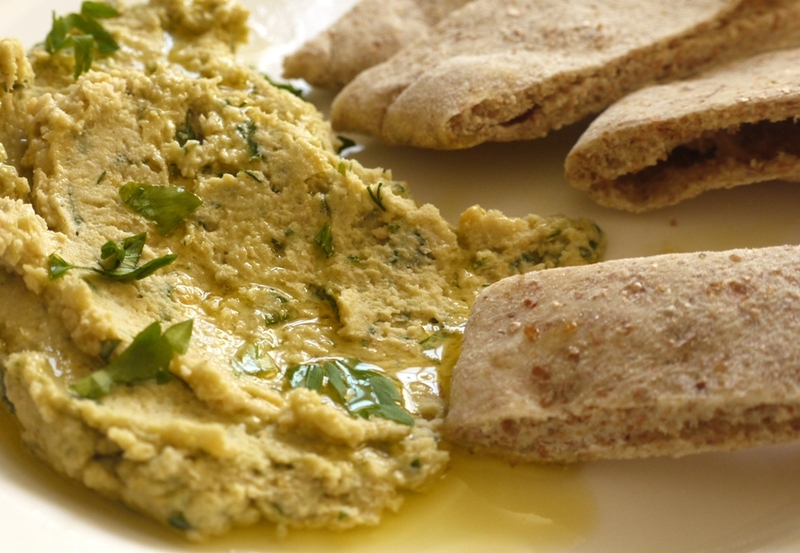 Choclette – it gives the hummus a lovely rich, garlicky note without the overpowering tones of fresh garlic. I really like it. Beetroot hummus is so good. After both roasted and raw beetroot hummus; I’ve decided my preference is for raw grated beetroot, chick peas and hazelnuts……….sublime earthy nuttiness. I feel the same way about some supermarket food. I love hummus and can´t think of not making it myself. Though I always have it plain or with roasted red peppers. This idea of herbs is really good! And pita bread it the best way to serve it, no doubt! My first foray into making hummus didn’t end as well as the hummus from the Lebanese butcher near my son’s sports practice, so I never tried again. But now I may. The combination of precooking a big bag of dry beans I’d just read in another blog plus your suggestion for roasted shallots (!) has inspired me. Thanks! I do make tons of hummus but have never added roasted garlic to it before. So silly of me. I love adding roasted peppers to it but garlic and shallots roasted is such a good idea. I could live on this for lunch every day! Kirsten – definitely do give it another go, this recipe is basically foolproof! That looks fabulous! I love hummus and I like that you also incorporated beans other than chickpeas. Have you tried putting sumac in the mixture? It adds a gorgeous lemony flavour! Just pulled out a can of bean and started some garlic and shallots roasting! I’ve wanted to make hummus lately and what I’ll do here, since you say it makes a large batch, I’ll divide it, and mush one with the shallots and one with the garlic, cause I’d like to see which one I’d like better. Trouble is I’d like both! hahaha I like hummus eaten, yup, standing with the fridge open, with small pieces of veggies… (pretty much the only way I can make myself eat raw carrots… more hummus than carrot…. hahaha) I LOVE bread too, but consumption needs to be limited and veggies are a great alternative!